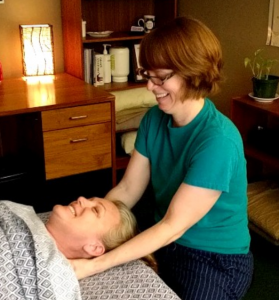 …you want to de-stress and get some relief from your neck or back pain…try either a customized therapeutic massage, a Thai Massage, or Hand & Foot Reflexology. …you need a good stretch…then Thai Massage is a good option. …you would rather not remove your clothes…then Thai Massage or Hand & Foot Reflexology are excellent choices. …you’d like to feel deeply relaxed, letting your body rest and repair, through focused work on the feet and/or hands…try Hand & Foot Reflexology. Annalisa Derryberry, LMT is a massage therapist located at 3000 Hartley Road #11, in the Mandarin area of Jacksonville, FL.